Joining us today is Reine Bayoc, Creator and Owner of the thriving SweetArt Bake Shop in St. Louis. SweetArt Bakeshop is a from-scratch bakery specializing in traditional, vegan, and gluten-free American baked goods. The cafe also serves a plant-based breakfast and lunch menu that has a loyal following of meat eaters. Along with operating the bakeshop, Reine is the founder and creator of the Love and Magic Kitchen, a blog where she shares recipes, stories, and inspires all the ... See More culinary-timid to trust their intuitive internal cooks. Where did her passion for cooking originate? What have her travels contributed to Reine's “food-venture”? Her philosophy as well as strategy? Who were Reine's entrepreneurial influencers. Reine emphasizes self-care. She shares her methods and recommendations. Reine's encouragement to women who have a passion for something that may be intimidating to pursue. 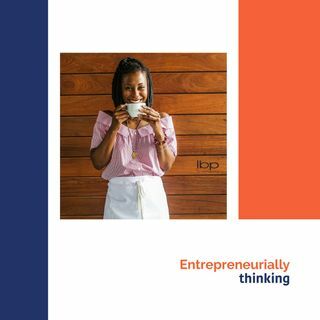 Some of the entrepreneurial lessons Reine wants to pass along. What is Love & Magic? Reine is working on her next venture: and it is a big deal..."Love & Magic", a dessert and wine lounge. What are the plans for SweetArt?